Here at Studio M Salon and Spa, we are obsessed with helping you look and feel your absolute best, and we understand the importance of using professional hair products to make that happen. One of the professional brands we trust is Kerastase, and we’re here to talk about a few products from this line that can help you achieve- and maintain- healthy, beautiful hair. Want 99% less breakage and 78% less split ends? Allow us to introduce you to Extentioniste, a 90 day hair program designed to optimize and reinforce the length of damaged hair. From shampoo and conditioner to a masque and hair serum, Extentioniste is designed to both strengthen and repair your hair while you grow it out to new lengths. Is your hair feeling dull and lifeless? Put the lustre back in with Elixir Ultime, a unique alliance of indulgent ingredients to take shine to the next level. With shampoo, conditioner, a weekly treatment mask, and hair oils, this collection creates long lasting shine with a lightweight finish. Is your scalp in need of some extra TLC? Kerastase has a product for you! Scalp science reveals there are three main causes at the root of all scalp concerns. Discover how the new Specifique hair care line can effectively combat these aggressors to enhance your scalp’s health. We can help you address your concerns with thinning hair, oily hair, dry scalp, and irritated scalp with the Specifique product made for issues such as these. Your beautiful hair begins with a healthy scalp, and your healthy scalp begins with Kerastase! Like all Kerastase products, the above collections and products are only found in premium, professional salons. Be sure to consult your stylist for product recommendations specific to your hair type and needs. 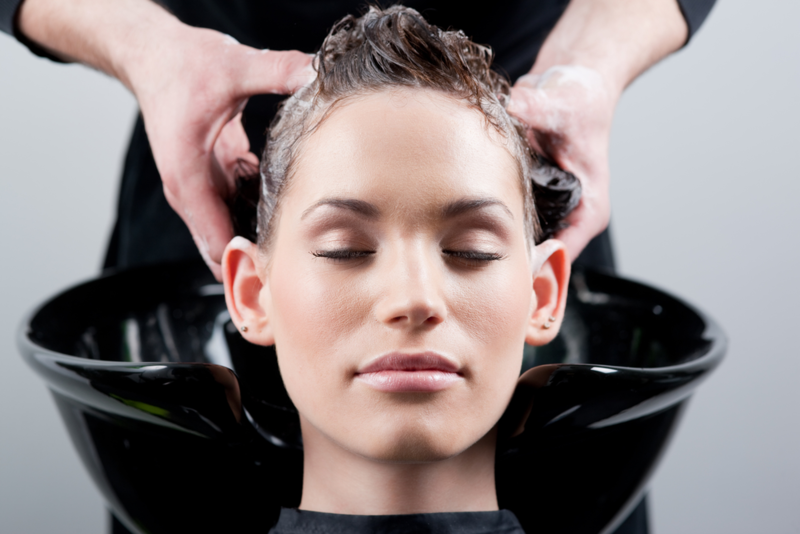 The team here at Studio M Salon & Spa is ready to help you manage any hair symptom you might encounter. Come on into our location at 2465 E Palm Canyon Drive, #1025, in Palm Springs, or give us a call at 760-327-9000 to schedule your appointment today. You can also download our free app from iTunes, Google Play, or Amazon and schedule at your convenience.